When I was a kid I wanted to become a marine biologist. Anything connected to the ocean fascinated me (and still does!) 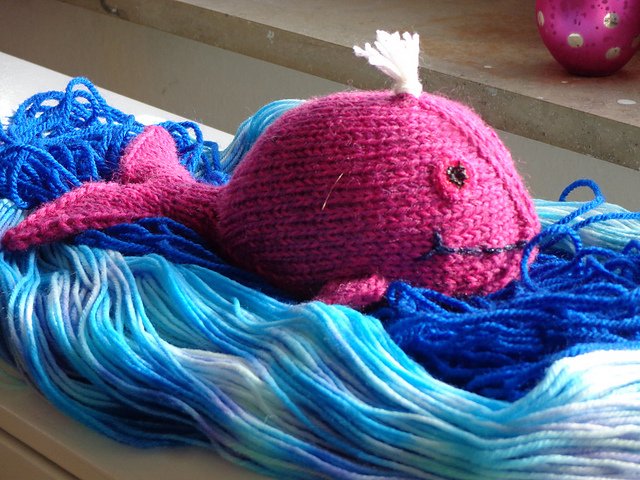 and especially the big whales and funky deep-sea creatures got to me. Diving and aquariums never lose their magic for me and I can never be away from the ocean for too long. Who ever saw a whale up close can never forget this unbelieveable encounter. 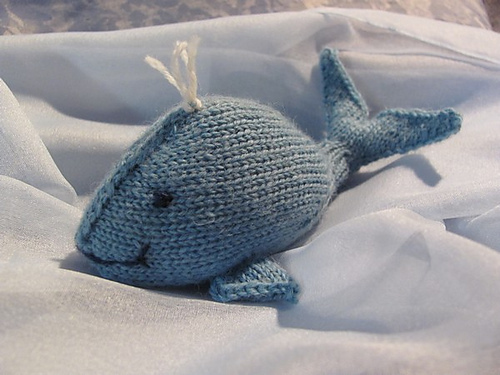 Whales are at the top of the food chain and have an important role in the overall health of the marine environment. Unfortunately their large size and mythical aura does not protect them; six out of the 13 great whale species are classified as endangered, even after decades of protection. 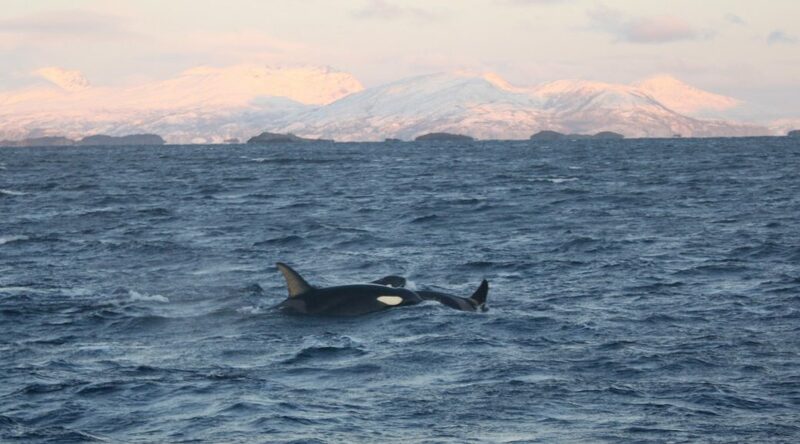 I was lucky enough to see Orca whales in Norway a few years back and also dive with dolphins (if you ever have the chance, don’t miss out on this!!) and see sperm whales in New Zealand. I’ll never forget those encounters! Unfortunately our oceans are getting not only more polluted by plastic and other waste, but also warmer, which affects the tiniest of creatures like corals and plankton, which all other life forms in our oceans (and around!!) depend upon as food source or habitat. 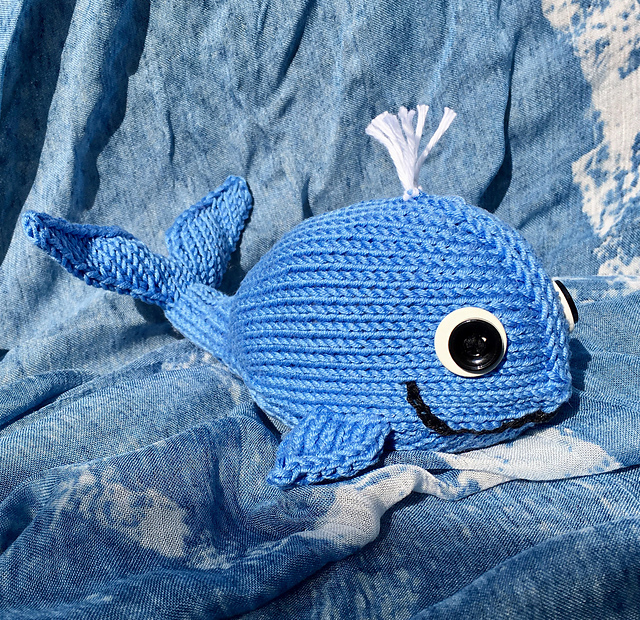 This is why I decided to dedicate my newest toy pattern to the most beautiful creature on earth: the whale. 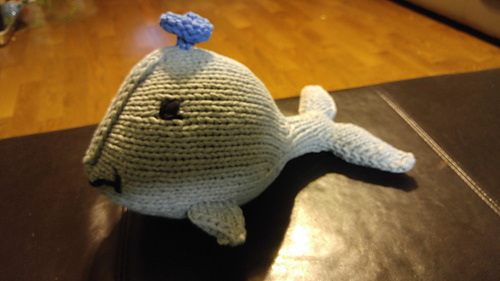 There are may threats that endanger whales around the globe. 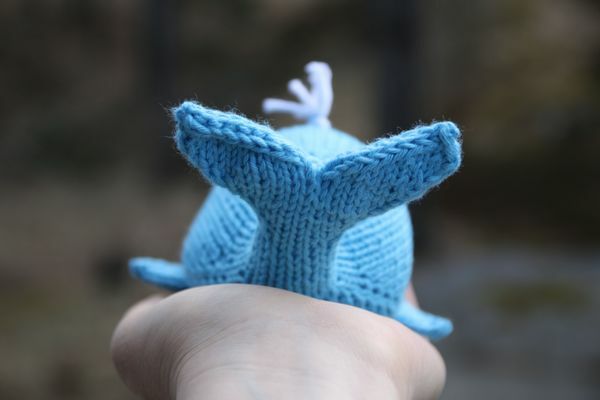 Industry, collisions with ships, entanglement in fishing gear (known as bycatch), and pollution injure and kill whales. 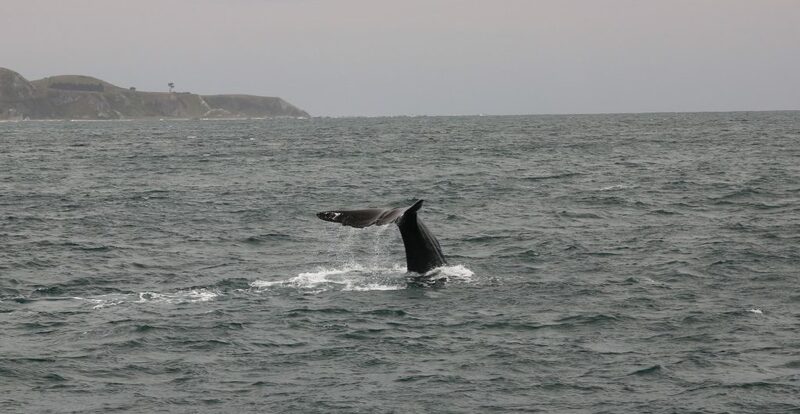 Shipping activity and oil and gas development cause noise that can disrupt or even damage whales’ hearing. Such disturbance can exclude whales from critical feeding and breeding grounds, and disrupt their migratory paths. 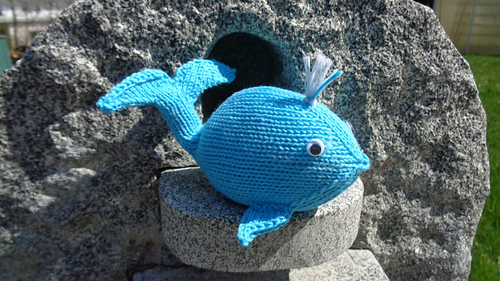 If you want to support the WWF in their hard work and if you just feel like knitting a whale, of course, this is a cute way to do both. 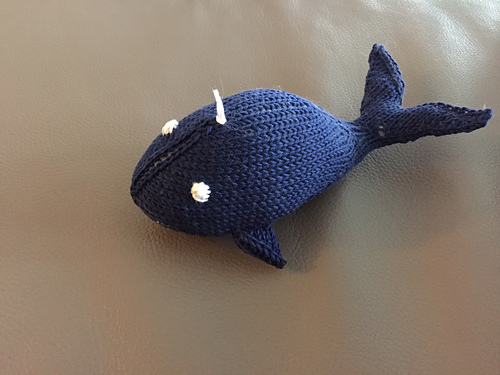 Yarn: This whale can be knit in different yarn weights. 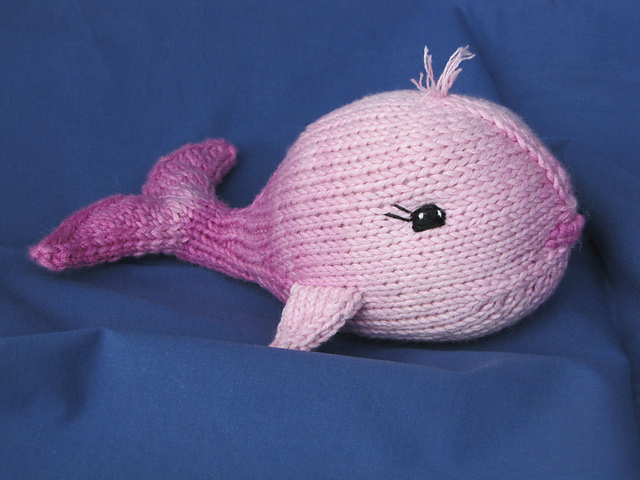 I like to use cotton for toys as it is very durable and good to play with for small kids. 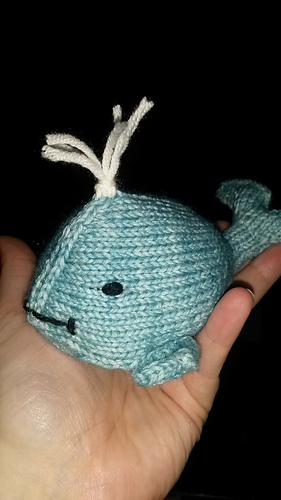 For my whale I used ~10g Gründl cotton yarn. 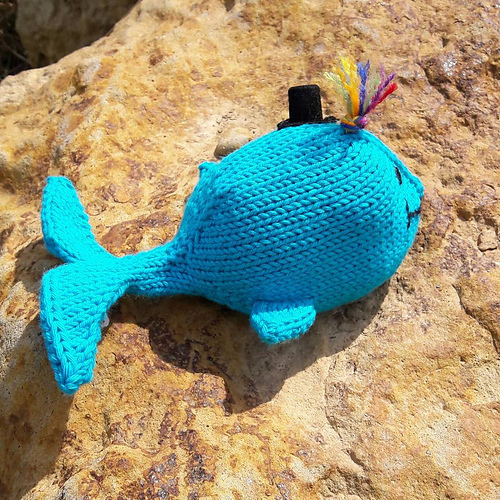 He measures 15cm long and 8cm tall. A set of 4 double pointed needles (I used size 2.5mst). It‘s practical to use needles at least one size smaller than indicated on the yarn to prevent the fiberfill from showing. Thank you to my wonderful test knitters Binle, Sinessi, Suzieqtee, Trametes1971, Strickhummel2108, Kathinka14, Urmare, Ariadne4 and Mausebinchen!